Elizabeth Tenner and her brothers, Bryce, Mitch, and Danny, have special traditions and other family favorites that keep them close despite the instability of their past: a substance-abusing mother, a mostly absent father, and a fatal car wreck that took the lives of their loving grandparents. Elizabeth is 26 years old when her brothers present her with a gift: peace and quiet in the form of a two-week solo vacation to the coast of North Carolina. While there, Elizabeth is intrigued by Nathan Monroe, a man who challenges her in all things faith- and family- related. Elizabeth can’t figure out why, but she feels compelled to share pieces of her story with Nathan, leading the pair into a deeper bond than Elizabeth could have ever expected. Nathan and the Tenners have big obstacles ahead: Can Elizabeth and Nathan’s relationship sustain the distance and their different beliefs? Will her brothers rely on their own faith to see them through an uncertain situation? Will Elizabeth ask God for help, or will her continual resistance keep her from experiencing God’s promise of a foundational, unending sense of peace? Elizabeth is a young woman with a lot of responsibility on her shoulders. As the book begins, we find her in North Carolina on vacation, resting, and allowing the cares of the world leave her shoulders. Three nights into her stay, she meets Nathan through his dog in a most unexpected way. Nathan is a young man, who loves God, and I really liked the way he shares his beliefs with Elizabeth in a gentle, yet real way. He lives out his faith and I think that's such a great example to us all. Elizabeth has been hearing about God from her younger brothers but she has been keeping her heart protected from God and others because of her hurt. 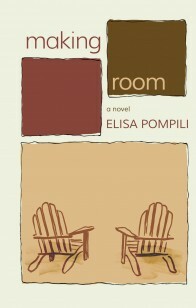 Making Room doesn't rush things.The author takes her time developing the story and the relationships. I found this very refreshing from so many books that rush through everything to get to the "happily ever after". This book was more reflective of how life really is. We see Elizabeth come to her understanding of God in her own way and to prayer in her own way. I also like how she comes to realize that she can rely on Christ for wisdom instead of relying on her own. This is a good story with characters I really came to care about. I believe you'll enjoy this book as well!